Charles B. Brown, born May 4, 1925, died, at age 93, on November 19, 2018, after living a rich and full life. 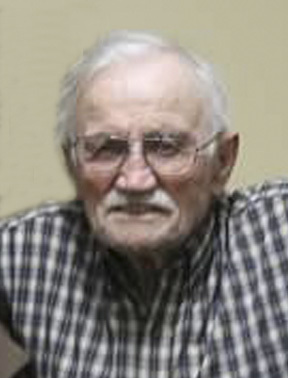 Charles grew up in Lida Township, Rural Pelican Rapids and graduated from Pelican Rapids High School in 1943. After graduation, Brown served in the Navy during the end of World War II. His initial training was as a fighter pilot, but due to an excess supply of pilots, the Navy redirected him to operating heavy construction equipment. He served at Guian Naval Air station in the Philippine Islands for about one year. Taking advantage of the skills learned in the service, Brown worked for several years in road construction while studying at the University of Minnesota Agricultural College and eventually earning a science teaching degree at Moorhead State Teachers College in 1953. He later earned his master’s degree in physics education from the University of Northern Iowa in 1959. Charlie started his 30-year teaching career in the Evansville (Mn) Public Schools before moving on to teach in Perham. In 1959, after completing his Master's degree he was offered a position with the US Department of Defense schools in San Juan, Puerto Rico. He worked in DODs schools in Spain, England, Turkey, Germany, and Okinawa. He taught Chemistry and Physics and also coached Soccer, Basketball and Chemistry clubs. He is remembered by his former students as being an excellent teacher who took the time to make sure his students understood the complexity of these subjects. On July 23, 1949, he married Maxine Johnson. Two sons were born to them Douglas and David. Although they lived overseas, they always returned to Pelican Rapids and their cabin on Lake Lida in the summers. In 1985, he and Maxine retired from the DOD schools and moved to Georgetown, Texas where they lived for 5 years. In 1989, they moved to Wadena, Minnesota where they lived until Maxine's death in 2008. In his later years, he lived in Fergus Falls and Pelican Rapids. He was a resident of the Riverfront on Main facility at the time of his passing. Charlie loved to play golf, have a good game of cards, discuss politics and reminisce about the family travel adventures through many countries in Europe and Asia. His grandchildren remember fondly that he took time to teach them many things. Charles is preceded in death by his wife, Maxine; parents Otho and Pearl Brown, sisters Virginia and Jeanette. He is survived by his son, Douglas and partner Pat Cordes; son David and wife Nadine; Grandson Ben Brown and wife, Jolene; Granddaughter Anna-Leigh Brown and partner Jobert Vargas. As his sons live overseas, the family is grateful for the help of Allen Westby who served in the role as his caregiver and advocate over the past two years. In accordance with Charles wishes, there will be no funeral. A celebration of life service will be held at the Lake Lida cabin at a later date.